ProQuest offers the greatest expanse of high-quality resources you’ll find in any online service, whether your patrons are looking for genealogical resources, homework help, current and historical news, health and medical information, business resources, general reference, or primary source content for current and historical collections. Our flexible, innovative solutions continually evolve and grow to support your ever-changing need for more diverse and expanded content suites as you build more integrated library systems. Los Angeles Times: Full text coverage from the Los Angeles Times spanning 1985 to the present day, either with or without remote access. California Newsstand: This collection includes titles from within the state of California, including the Los Angeles Times, The Fresno Bee, The Inland Valley Daily Bulletin, The Modesto Bee, The Oakland Tribune, The Orange County Register, The Pasadena Star-News, The Riverside Press-Enterprise, The Long Beach Press-Telegram, The Santa Rosa Press Democrat, The Palm Desert Public Record, The Redlands Daily Facts, The Sacramento Bee, The San Diego Union - Tribune, theSan Francisco Chronicle, The San Gabriel Valley Tribune, The San Bernardino Sun, The Torrance Daily Breeze, The Whittier Daily News, and more. A full title list is available in the trial. National Newspapers 5: Full text coverage of the Christian Science-Monitor, Washington Post, New York Times, Wall Street Journal, and the Los Angeles Times. ProQuest Newsstand: Includes all ProQuest newspapers, including the Los Angeles Times, other California Newsstand titles, National Newspaper titles, and many other US and international titles. A full title list is available in the trial. This database provides full-color, full-page access to more than 1,000 newspapers in 41 different languages from 84 countries around the world. It reads just like a real newspaper, so you can see every photo, every caption, every ad, classified and article. There is a translator feature to covert the articles from English to another language (or vice versa). There are 130 U.S. papers, including the USA TODAY, San Francisco Chronicle, San Jose Mercury News, Houston Chronicle, Chicago Tribune, Washington Post, Seattle Post, and many more! This database is rich in Hispanic and Asian news – perfect for diverse communities! We offer dynamic icons for your website. Simply pick a paper (like the LA Times) and include our dynamic URLS and images. Then, every day the icon will change to reflect that day’s front page. Front-page News - the front page of the interface offers categories such as Top News, Business, Sports, and the World in Pictures. Multi-title searching - users can keyword and topic search across all titles and the entire 60-day rolling archive. Library Administration Tool - library staff can now control the content that appears on the front page of PressDisplay through the use of the new library administration tool. Administrators can also pull several different usage reports from this tool. Full-page and custom area printing for all titles - users can print page images, in addition to article-level printing. Article Rank-measures the interest or popularity of an article, which is determined by the length of time readers spend on that specific article and by the overall attention the article received from all users. Article Rank is continually updated to reflect the most current reading preferences as determined by PressDisplay readers. My Newspapers - library staff can customize the front page to display the newspapers their patrons read most. Multilingual Interface - the interface is available in English, French, Russian, Italian, German, and Arabic. Cover to cover full text and full-image content for leading U.S. newspapers, with enhanced reproductions of every page from every issue in downloadable PDF files. Libraries may consider this a supplement or substitute for microfilm collections of these two primary newspapers. New York Times (NYT HNP): the definitive national newspaper from its first issue. 1851-2003. Los Angeles Times (LAT HNP): the West Coast perspective on world news from 1881-1985. Combines census data (1790-1930), family records, local histories, city directories, Freedman’s Bank Records, and the Periodical Source Index (PERSI: 6000 indexed local history & genealogy articles) and other primary sources indexed for easy access. Featuring over 4,055 journals, ABI/INFORM Complete™ is absolutely the most comprehensive business database on the market today. The combination of products forms a business database package that offers more than 2,965 full-text titles covering business and economic conditions, corporate strategies, management techniques, as well as competitive and product information. Its international coverage gives researchers a complete picture of companies and business trends around the world. ABI/INFORM Complete is used at major business schools including Harvard, Michigan, Wharton, Northwestern, and Chicago. Contains everything that ABI/Inform Global offers, with the addition of a “Trade & Industry” module… a “Dateline” module (breaking business news)… a “Archive” module (historical content for research into the past). ABI/INFORM Global is one of the most comprehensive business databases on the market. It includes in-depth coverage for over 2,890 publications, with more than 1,920 available in full text. ABI/INFORM Global offers the latest business and financial information for researchers at all levels. With ABI/INFORM Global, users can find out about business conditions, management techniques, business trends, management practice and theory, corporate strategy and tactics, and competitive landscape. Also includes: over 18,000 business dissertations… EIU ViewsWire (coverage of business and economic events from across the globe)… over 5,000 business cases…and the full Wall Street Journal current newspaper collection. This is a one-of-a-kind database! Alt-PressWatch™ showcases unique, independent voices from some of our nation’s most respected and cited grassroots newspapers, magazines, and journals. The database features over 500,000 articles from more than 190 publications, offering a wide range of unfettered, critical coverage of the news. All of these varied alternative and independent presses are presented in 100% full text, allowing researchers total access to both regional and metropolitan perspectives on local, national, and international issues. Alt-PressWatch gives readers and researchers access to many distinctive, thought-provoking titles that defy mainstream media. This state newspaper bundle package includes the following papers like: The Daily Breeze, The L.A. Daily News, The Fresno Bee, The Modesto Bee, The Oakland Tribune, The Orange County Register, Pasadena Star News, The Riverside Enterprise, Long Beach Press Telegram, Santa Rosa Press-Democrat, The Public Record, The Sacramento Bee, Redlands Daily Facts, San Diego Tribune, San Francisco Chronicle, San Gabriel Valley Tribune, L.A. Sentinel, The San Bernardino Sun, Whittier Daily News, and many more! Go into the trial and click on the “publications” tab to see them all. Deep back-file on many of them! One of our most popular databases! CultureGrams Online is the best interactive social-studies database out there. It fits the K-12 curriculum perfectly, supporting the “after 3” crowd. It’s also fantastic for world travelers and missionaries. Each report – covering over 200 countries (as well as every U.S. State) offers detailed report which include things like: history, geography, economy, languages, traditions, customs, national anthems, life as a kid, biographies, recipes, photos, videos, slideshows, flags, greetings, gestures, dating/marriage, art, culture and much more! Colorful, interactive, and very engaging. There’s nothing else like it out there! eLibrary delivers one of the largest general reference collections of periodical and multi-media/digital-media content designed to support every range of user, including grade 6-12 students, college-prep and college-level researchers, and professional educators. This is the “ultimate” homework-help database! Researchers will find the answers they need from more than 2,000 full-text magazines, newspapers, books, and transcripts, plus thousands of maps (some are interactive! ), pictures, web-links, and audio/video files. Titles cover a wide range of subjects including business, education, general interest, health, language arts, sciences, social sciences, and many other curriculum-specific subject areas. Every magazine, journal, newspaper, book, and transcript is provided in 100 percent full-text—saving valuable search time and reducing the frustration of abstract-only results. Find results like NPR podcasts, Fox News video clips, photos from National Geographic, articles from the L.A. Times and the New England Journal of Medicine, reference results from the DK Eyewitness books or Frommer’s travel guides… and so much more! This version offers the same content contained within the eLibrary database above, but with the addition of two large modules: History Study Center and ProQuest Learning Literature. See each entry for those databases for details about the content. This version is the same content type as the regular version of eLibrary, but geared towards the elementary school students. 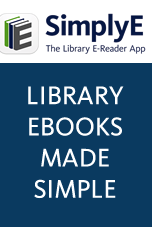 This database tailors all the media types and search functionality of eLibrary for the young reader. Students use the colorful, graphical search interface to find the answers they need from more than 130 magazines, newspapers, books, transcripts, maps, images, web-links, and audio/video titles, all selected as appropriate for elementary school studies. This award-winning database allows researchers to explore thousands of full-text and multimedia files that help researchers better understand concepts in science, and that allow educators at all levels (from K-12 to university and beyond) to build engaging science materials, lessons, and activities for students of all ages. Users find the answers they need from more than 440 sources including magazines and journals, newspapers, TV and radio transcripts, reference books, websites, images, and streaming audio/video. eLibrary Science, in partnership with leading reference publisher Salem Press, also includes 20 of Salem's high-quality, high-interest reference titles, such as Animal Life and Plant Life from the Magill's Encyclopedia of Science program; and other award-winning titles such as the Encyclopedia of Genetics. Most are available for the first time in electronic format. Other titles include: American Scientist, Astronomy, Current Anthropology, Environment, The Lancet, Psychology Today, Popular Science, Stem Cell Week, and Technology Review. See neat images from NASA… get science fair ideas… hear a podcast about Cro-Magnon man… do math puzzles online… and much more! This is a full-text database that features newspapers, magazines and journals of the ethnic and minority press. Of the more than 1,000,000 articles contained in the collection, nearly a quarter are presented in Spanish. Also includes Asian-American, Jewish, African-American, Native-American, Arab-American, Eastern-European, and multi-ethnic content. Titles include New York Amsterdam News, Asian Week, Jewish Exponent, Seminole Tribune, and many more. With titles dating from 1990, ENW presents a comprehensive, full-text collection of nearly 1.6 million articles from more than 280 publications offering both national and regional coverage. ProQuest National Newspaper Core package provides your library with online access to the most respected national and regional newspapers from across the U.S. The titles in ProQuest National Newspapers Core offer researchers thorough coverage of local, national, and international events with journalistic balance and perspective. Those papers provide a comprehensive package to retrieve important articles, and research events over time and from different perspectives. The five titles include: The New York Times (1980-present) - the paper of record in the U.S., best known for its analysis of news, issues and social changes. The Wall Street Journal (1984-present) - the single most authoritative source of global and national business reporting (ProQuest has co-exclusive rights to this title). Washington Post (1987-present) - inside-the-beltway coverage of politics and highly respected investigative journalism. Los Angeles Times (1985-present) - the perspective of the American West, lauded for its coverage of immigration, entertainment, and environmental issues (ProQuest is the exclusive provider of the Los Angeles Times). Christian Science Monitor (1988-present) - balanced, objective reporting from the most respected field journalists in the industry. The small business sector in your community depends on the public library to provide resources which are essential to running and developing their businesses. City and state governments encourage the development of small businesses within cities of all sizes to help build and sustain the local economy. ProQuest Entrepreneurship supports the study and real application of entrepreneurship by offering a central access point to an unprecedented collection of innovative tools. An unmatched resource, ProQuest Entrepreneurship combines a broad array of full text resources together with the integration of multimedia and new format contents such as videos, transcripts, Excel spreadsheets and Word documents. Contains thousands of market research reports, business plan templates, business cases, legal forms, templates, sample worksheets, and much more. This database contains the full Hoovers collection, the Snapshots market research collection, company annual reports, dissertations, newspaper articles and much more. ProQuest Family Health covers an enormous range of subjects of value in the public library context – from sports injuries to women’s health, from food and nutrition to midwifery, from eye care to dentistry. It includes important general medical journals such as The Lancet and The New England Journal of Medicine as well as a strong selection of consumer and news magazines. Other titles include: Men’s Health, Exceptional Children, Diabetes, Journal of Health and Social Behavior, Journal of Youth and Adolescence, Women’s Health Weekly, Pediatrics for Parents, Occupational Health and so much more! Cross-searchable with other PQ platform databases. PQ: Learning Literature is an all-in-one database. Not only will you find an amazing amount of author biographies and literary criticisms, but you’ll also find over 180,000 full-text works of poetry, prose, and drama from around the world. The new Quick Search feature on the home page allows students to search the entire collection at once. Also, our new Search Criticism feature enables students to search more than 100 key literary magazines and journals for the latest criticism, reviews, and interviews. Titles include The New York Times Book Review, Black Issues Book Review, The Explicator, Hispanic Review, World Literature Today, and The Writer. This is a unique database in that you’ll find tons of multi-media related to literature studies! A searchable database of more than 2,500 images and video clips contextualizes the material for students and makes ProQuest Learning: Literature a great source for multimedia projects and presentations. Our unique Poets on Screen feature presents clips of world-famous writers reading poetry—their own and that of others, bridging the gap between student and author. This is also one of the rare databases where you’ll find really contemporary authors, like Stephanie Meyer of the “Twilight” vampire series... C.S. Lewis of the Chronicles of Narnia series… J.K. Rowling… Ann Brashares (author of the “Sisterhood of Traveling Pants”)… Jodi Picoult… John Grisham… and many more! The perfect database for a one-stop-shop of newspapers and magazines. ProQuest News & Magazines provides access to a wide range of popular topics such as the arts, business, health, sciences, and humanities. The database includes over 2,260 titles, with more than 1,970 available in full-text. It combines high-demand magazines and journals with a newspaper package that includes The Wall Street Journal and USA Today plus the regional newspapers of the Pacific-west area. With thousands of articles available online, ProQuest News & Magazines includes some of the most popular information resources. To see the title list, go into the trial and click on the “publications” tab. You’ll find tons of newspapers, and all of the most popular magazines! A one-stop shop for all research needs. This database includes more than 3,950 titles—over 2,700 in full text—from 1971 forward. It features a highly-respected, diversified mix of scholarly journals, trade publications, magazines, and newspapers. ProQuest Research Library consists of two components: a core list of periodicals; plus 15 supplemental subject-specific modules. ProQuest Research Library is designed to cover the top 150 core academic subject reference areas—and cover them extensively—so that it is an invaluable database for a number of different disciplines and is accessible to readers/researchers at every level. Subject modules include: Arts, Business, Children, Education, Health, Humanities, International, Law, Military, Multicultural, Psychology, Sciences, Social Science, Women’s interest. SIRS Researcher is one of the best databases for current issues and controversial topics – it’s the perfect support product for student papers and K-12 curriculum. SIRS Researcher blows away the competition with the amount of current and relevant results. The first twenty results of most keyword searches are from newspaper, magazine and journal articles that are only a month or two old. The articles and graphics are superb, and our “pro/con” format gives both sides of the perspective to help students get that “A” paper. Over 100 topics, with the top ones focusing on terrorism, economy and global warming. Offers photos, videos, newswires, podcasts and up-to-date coverage on important topics like global warming or genetic engineering. You’ll even find extensive coverage of the 2008 Presidential election. Contains content from top newspapers likeL.A. Times, New York Times and USA Today. Ancestry Library Edition is an enhanced edition of MyFamily.com’s popular consumer genealogy database, Ancestry.com. ALE is only available as an in-library service with unlimited simultaneous users and is not available for remote use. Shared collection of technology ebooks - 1400+ titles from O'Reilly and other top IT publishers. This is a shared eBook collection comprised of participation member libraries. Califa manages the collection, invoices each February for that calendar year, and payments are due by December 31 of that calendar year. This allows for greater flexibility in payments, as libraries can pay out of either fiscal year. If a library joins the collection in the middle of the year, you will be invoiced for the entire year, and then receive another invoice the following February. However, you may pay that invoice later in the year (ie a year from your original invoice) and should you choose to discontinue participation in the collection, you will not lose service until the original anniversary date.